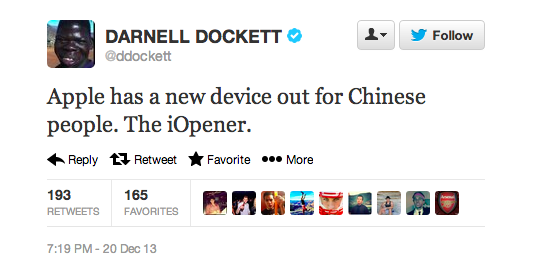 Now that the Arizona Cardinals are done for the season, defensive end Darnell Dockett will have lots of time to amaze Twitter with his hi-larious racist tweets. And just to be clear, there will be no apology. Stay classy, Darnell. and he would like you to please stop tweeting.